Large-scale immigration from Scotland to America began in the 1700s. They brought their whiskey culture with them! The Scots went in search of a better life and settled in the thirteen colonies, mainly around South Carolina and Virginia. They were never big fans of the English and things weren’t getting much better, so why not give this America place a go? If it wasn’t for these Scottish and Irish immigrants, god knows what Americans would be drinking these days. Vodka. …what? Too soon? Luckily, rye grain is practically a weed when it comes to cultivation, and rye whiskey became the first form of ‘futures trading.’ It can’t go bad, but it can blow you up, so don’t smoke around it. The founding fathers, also English haters (though technically English), had just come off of a successful revolution where the Americans gained the right to spread freedom around the world, but it came at a cost. That’s when they came for the whiskey and the fresh-off-a-revolution American citizens, never a fan of taxes, launched the awesomely named but relatively boring Whiskey Rebellion. 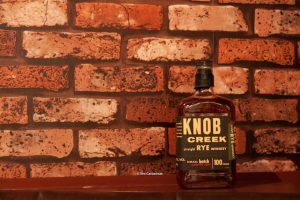 Speaking of awesomely named things and rebellious Scotsman, how about Knob Creek Rye? It’s actually the product of one of the historic angry farmers who became part of the Beam family. 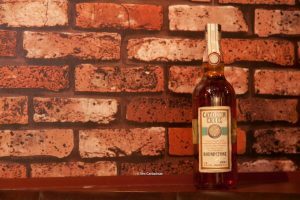 If you don’t know them, they’ve been distilling since 1795 and aren’t exactly the little guys anymore, though they make a damn fine Kentucky Rye. Continuing the tradition of fierce adaptability, mental fortitude, and the prowess to outrun the law and taxman, Scottish and Irish immigrants continued migrating throughout the United States and developing new techniques for imbibing as they went. Eventually, they defeated the axe-wielding, bible-thumping Prohibitionists, invented Nascar, and never looked back. 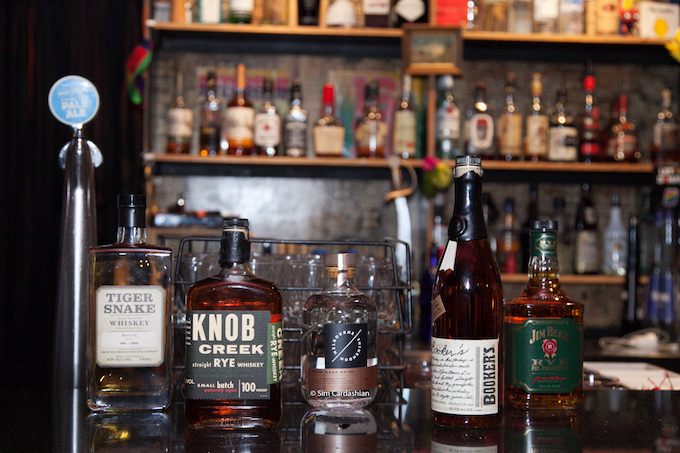 All of this history, and so much more, can be tasted in Bookers Bourbon. If you ever get your hands on some, tip your hat, say please and thank you, and enjoy the sunset from your back porch. Alcohol was illegal in the ‘States for barely a decade, but it grew so precipitously in that time period that it kicked off the Jazz Age, ruined several marriages, and gave F. Scott Fitzgerald a ton of material to write about. 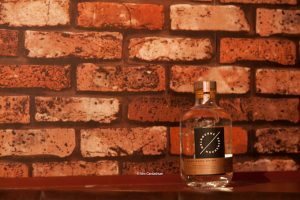 Thankfully it’s not banned in Melbourne, but the guys over at Melbourne Moonshine act like it is, creating a wonderfully smooth concoction that pays homage to its illegal American cousins. We can’t wait to watch it grow up. Man drink, make fire, eat meat, hit wife. These were basically the whisky ads of the late 50s and early 60s, creating drinking themes we still see and shudder at today. Thankfully, there are awesome distillers and advocates all over the world that’s combatting these tropes. Don’t believe us? Meet Becky Harris, a badass chemical engineer, corporate escapee, and the head distiller of Catoctin Creek, a family-run distillery from the Blue Mountains of Virgina. It’s rare to find a whisky socialer who doesn’t love their Roundstone Rye. 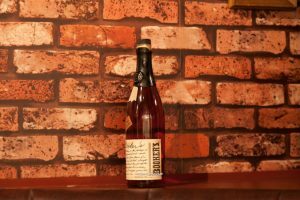 It’s changed many a whisky snobs mind on what rye whiskey can be! And we do love swaying hearts and minds! If anyone is following America right now, it’s no surprise that they’re drinking a lot of whiskey. Can you blame them? They’re also the world’s largest producer, but, funnily enough, not the biggest consumer, though that might change depending on how the next few years unfold. No, it’s our Indian friends who’re drinking the most Tennessee whiskey, creating a confusing, delicious, and interesting conundrum of booze we can’t help but love. 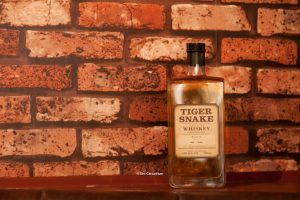 That’s what you get with Tiger Snake, a sweet, spicy vanilla creation from Australian whisky makers Great Southern Distilling that pays homage to American whiskey and their rebellious cousins, the Scots-Irish. With that… let’s raise our glasses and Cheers to our final act!